Sandy Bay gives you everything the name suggests! Take life easy on the golden sands: enjoy family walks along the beach, building sandcastles, exploring the rock pools and soaking up the stunning clifftop scenery and views. 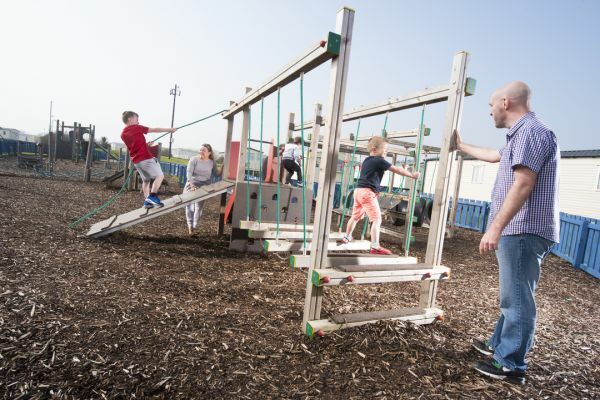 For even more beach fun, you’ll find the sandy beaches of Blyth and Whitley Bay nearby too, and just a few miles from park is the vintage seaside town of Newbiggin-by-the-Sea, with its magnificent promenade and traditional seaside attractions. 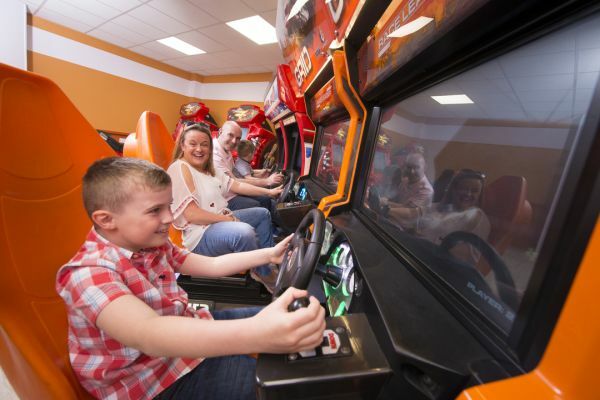 Back on park you’ll find plenty of activities to keep everyone happy, from the heated indoor pool to the adventure playground and amusement arcade. Plus, there’s a Showbar providing great live shows and evening entertainment the whole family will enjoy. 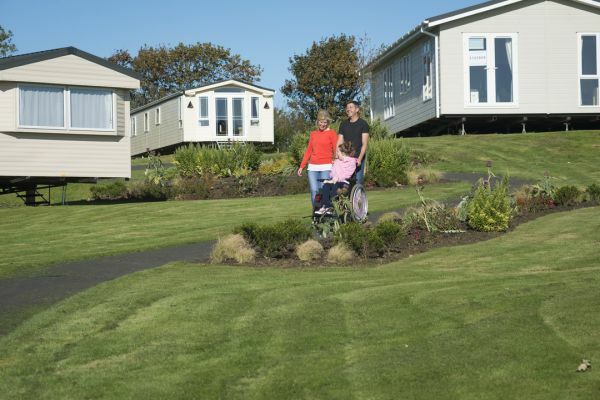 Sandy Bay offers a range of accommodation options for you to choose from including caravans, lodges, and touring and camping pitches. 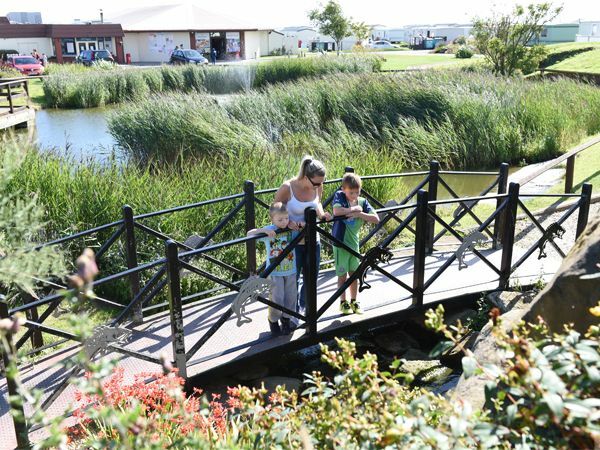 The park offers grassed pitches with electric hook-up and accepts campervans, motorhomes, touring caravans, tents and trailers. Awarded 3 stars from Visit England and Bronze David Bellamy conservation award. 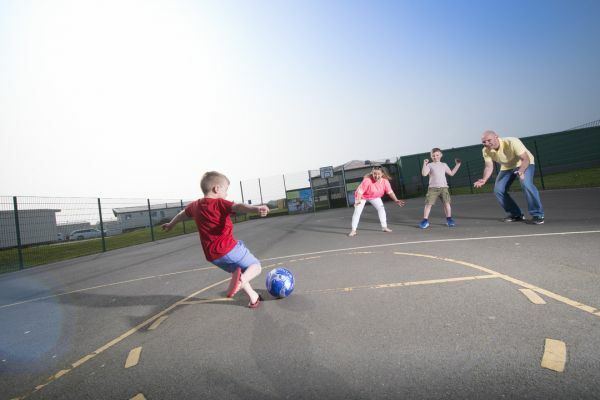 For more information or to book online, visit www.parkdeanresorts.co.uk for great savings on your next holiday. 4. Cross the bridge across the River Wansbeck on the A189 before taking the fourth exit for Newbiggin and Sandy Bay at North Seaton roundabout. Sandy Bay Holiday Park is a little further down the road as you exit the roundabout. The nearest bus stop is located a short 2 minute stroll from park on the B1334. Here, you'll find service numbers 35, 52 and X21 Sapphire by Arriva Bus offering return journeys to and from Woodhorn and Newbiggin. You can reach Pegswood train station within 12 minutes if travelling by car. The main lines from this station take you through Chathill and Carlisle. Newcastle Airport is roughly 16 miles away from Sandy Bay, which will take around 25 minutes by car. Please see the airport website for a full list of arrival and departures. Please check website for most up to date prices.